According to Medscape.com, prolonged exposure can cause discoloration of the hands. While the yellow white film-processing chemical would sometimes leave the skin a little yellow or orange, the lasting result was often a grey ashy color staining their hands. This discoloration is a side-effect of the disorder, agyria. Argyria is classified as a skin condition though it also can potentially affect mucous membranes. Basically, the silver particles impregnate the skin and leaving residue in mucous membranes. Studies conclude that an unknown amount of silver can cause this condition because the rate at which it affects individuals varies so much. But this is, again, testing contact with the skin, not on the inhalation of silver iodide. There are many, many unscrupulous people in the field of weather modification who up until now have promoted some methods without any proper scientific evidence. Developing countries are particularly at risk here," says Siems. The technique ''remains controversial, especially because in the early days unrealistic claims were made about its success'', says Johannes Verlinde, associate professor of meteorology at US-based Pennsylvania State University. Another reason for the controversy, he says, is that no two clouds are alike, making it difficult to compare clouds to prove it really works. 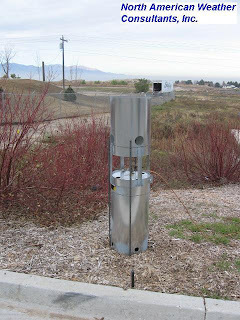 Colorado State University climate researcher Bill Cotton conducted one cloud-seeding study five years ago. 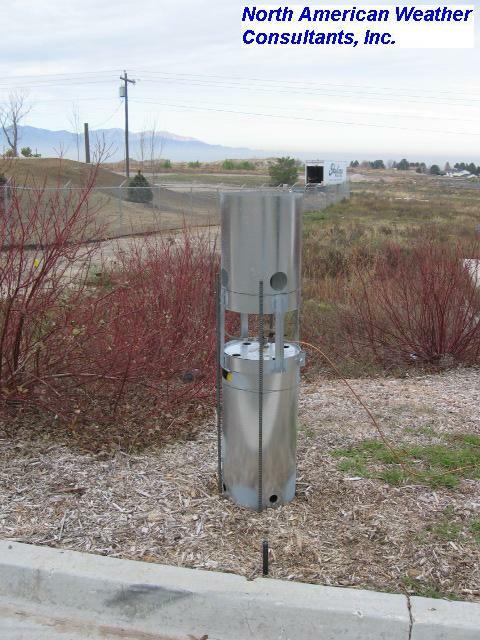 A $100,000 grant to study weather modification in Colorado produced no definitive results. 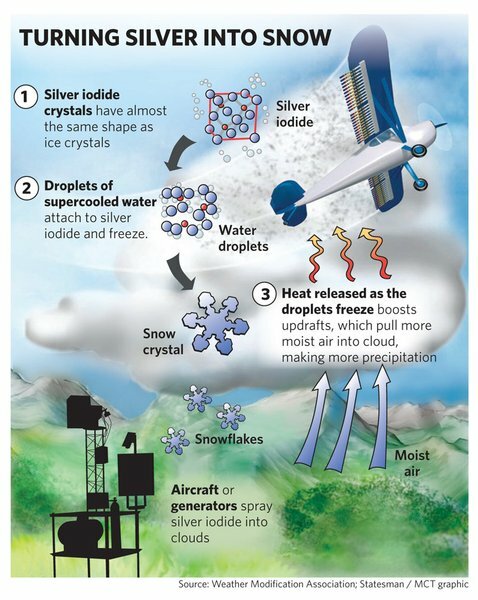 He said there is a “good chance” cloud seeding boosts snowfall, adding that to have so much spending on it without conclusive research is “kind of sad.” “It’s not a very effective way to do science,” he said. There have already been 80 hours of work logged by pilots of Weather Modification Inc., based out of the Old-Didsbury Airport, this month alone. The company, sponsored by Alberta Severe Weather Management Society (ASWMS), a group of insurance companies that privately funds cloud-seeding in the area, spent 11 of the first 21 days of June shooting silver iodide in the clouds as a way to shrink ice stones and reduce property damage, said Terry Krauss, PhD in meteorology and program director for the ASWMS. lives west of Sundre and noticed it for the first time last season. She said the first time she saw the planes go by was July 8 and “within 35 minutes we were pounded. 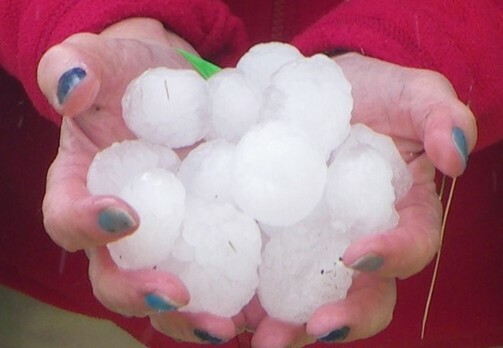 It was an immediate drop of the hail,” she said. "Alberta Agriculture funded a five-year study from 1974 to 1978 called the Alberta Hail Project. The project, similar to the one funded today by ASWMA, seeded all potential hail clouds for five years. The project was continued until 1985 when it was stopped because of “inconclusive scientific data,” said Cam Hantiuk, media relations for the premier’s office." The lack of provincial regulation worries Louis Bauman, south of Sundre, who’s been following cloud seeding since the government’s involvement in the 1970s. His brother Joseph, who has since passed away, fought with the government back in the late ’70s and early ’80s to stop the project. He said it wasn’t right that the government was meddling with the natural course of weather and said such activities were devastating for agriculture, livestock farming and recreation. “Is it lawful in Alberta to change the natural course of the weather by physical and chemical intervention to produce artificially positive rain and hail storm in one part in order to prevent contingent rain and hail in another?” he wrote in an affidavit to the Red Deer Provincial Court in 1984." “Something isn’t quite right; something is going on,” Hofer told the Gazette last year. He’s lived in the Sundre area for the last 50 years and said he was hired to work in Penhold during the ’70s when the Alberta Hail Project was in full force. The cloud-seeding project with a $2 million annual budget is funded by more than 20 of Alberta’s top insurance firms that represent 90 per cent of all insured companies, said Krauss. “Maybe the seeding will help Olds and Calgary by pre-emptying the clouds onto us, but what sort of reasoning is that, and how fair could that be?” asked Schroeder in a letter to the editor last year. Above: July 6/13 - Alberta hailstorm leaving an unusual trail of hail, appearing as a deposited line. Are these the remnants of an aircraft cloud-seeding operation, during its linear flight of Silver iodide dispersing? Could this be what Hofer, Schroeder, and Bauman were referring to? View the image below for a possible answer. Popular Science, March 1950 Edition, reads: "Punctured Cloud . . . Here's how a man-made hole in a cloud looks from topside, 15,000 feet up. The racetrack-shaped opening, 20 miles long on the sides, five miles across on the ends, was formed by seeding a stratus cloud with dry ice. The ice acts as a trigger on the supercooled water droplets in the cloud. They condense into snow or sleet, fall out of the cloud and, bingo, there's a hole. The cloud-busting is part of Project Cirrus, a joint research program of the Army Signal Corps and the Office of Naval Research. Des. Irving Langmuir and Vincent J. Schnefer, of General Electric, who originated the seeding technique, insist it can make rain. The Army and Navy, interested in military applications, just won't say. Above: Cloud Nucleating Generator (CNG) - A propane flame is used to vaporize the seeding solution, which is composed of silver iodide mixed in acetone. 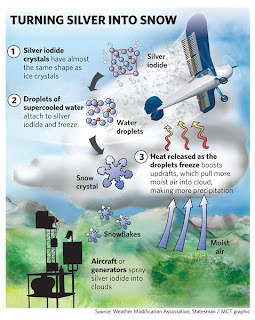 The vaporized silver iodide then re-crystallizes in the cold air, forming millions of tiny particles which are intended to serve as ice nuclei. Read more here. 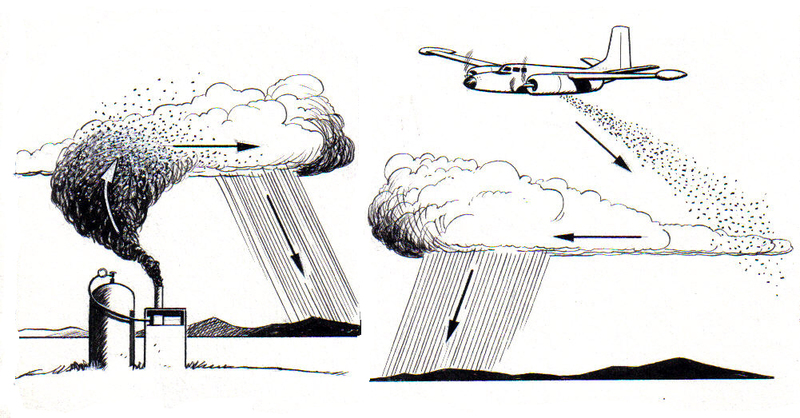 Above: The science of cloud-seeding. We realize that it is not this simplistic, now is it? The General Electric / U.S. Military research project released AgI and dry ice in the vicinity of Albuquerque, NM during October 1948 and July 1949. Langmuir initially claimed that this release caused rain all over the state of New Mexico and possibly in Kansas. Langmuir's group continued to release AgI in New Mexico between November 1949 and July 1951. Langmuir claimed that the release of AgI modified the weather, not only in the state of New Mexico, but also more than 1000 kilometers downwind. The release of AgI "was discontinued in July, 1951 during the great floods in Kansas and adjacent states." (Byers, 1974, p. 20) This flood was no ordinary flood: the 13 July 1951 flood at Kansas City was described as "the most devastating flood in the nation's history"; 17 people died as a direct result of that flood, despite weather forecasts and warnings. (Alexander, 1951) It is still unknown what effect, if any, the AgI release in New Mexico had on rain and floods in Kansas. As discussed below, perhaps the more interesting lesson is not one of science, but ethics: Langmuir sincerely believed that AgI release was modifying weather at long distances from the point of release, yet he continued to engage in such weather modification for two years, despite the possibility of harm from such modification, and despite the lack of consent by affected people. Hydro tasmania has been seeding over the west coast of the state for years, we now have higher cancer rates than ever before. Are the two linked? Who knows. We have had enough, so i have created a facebook page- Tasmanians Against Cloud Seeding, TACS. Please like and share, any support anybody can offer would be greatly apreciated. Look up a super-storm senerio where a storm dumps a lot of snow on the mountains (possibly man caused), then a warm system comes in and rains melting it all causing flooding. I just came across this and found myself quoted! I have a facebook page called Albertans Against Hail seeding that has been on the go for a few years now where i have shared a lot of research, if you are interested. There are also no long term studies that I know of, regarding environmental and health impacts of cloud seeding. wow, thx. Im also doing a science project and need arguements. I have rheumatoid arthritis. I leave in las vegas they seed weekly! I can tell when they are seeding! My ra flares terribly! How can we stop this! ? Not sure what the best approach is, but raising awareness to the public, having seminars, etc. Also, forming a group of citizens who can present a legal case, as well as letting government officials know, especially at a local and State level. We must use their own weapons against them when it comes to science: that is, scientific journals. 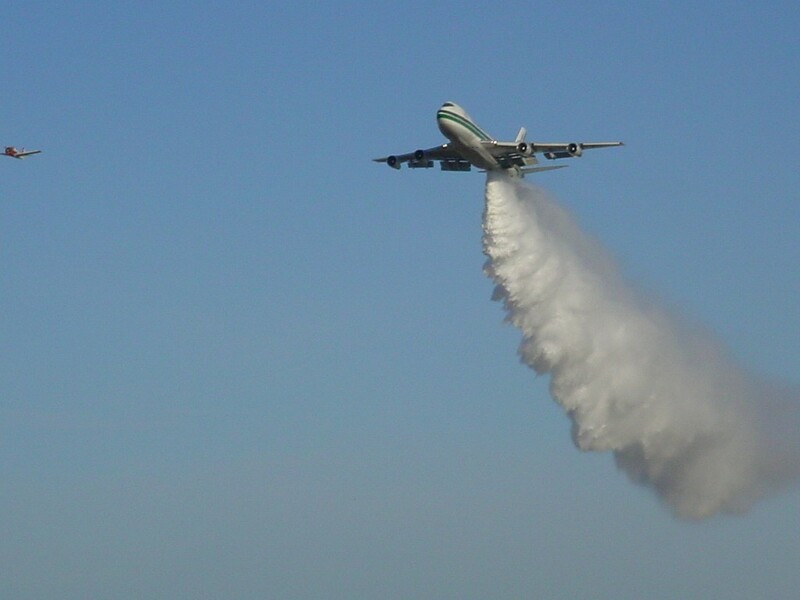 There are numerous studies out there which highlight the harms and environmental consequences of cloud-seeding, including unknowns, and in many cases, lack of supporting evidence that such programs are even beneficial. "This leaves us wondering if there were individuals cloud-seeding prior to the June flood in Alberta (2013), perhaps trying a little too hard to prevent hail?" Yes. I saw the plane seeding the clouds that day. This is from 2010. Did you notice that they did not grant interviews about the June 20 flood event of 2013? And now we face insurance fee hikes. Coincidence? Whose interest is foremost in all this? TERRIBLE RESULTS WITH CLOUD SEEDING IN PETORCA, CHILE. DROUGTH GETS MORE SEVERE. sonar/emf energy can be added to sea surfarce thereby generating vapors to form cloud. These clouds can be steered by EMF modified clouds to required dry regions by doppler stations or movable trucks loded with a doppler station by sea/land . Now the spray method to form clouds can be done by the Sonar resurfacing of sea level water from the vast sea.-- 2/3 is water on the planet!! And vast amount oif vapors can be generated by M/W or sonar pulses over sea surface. 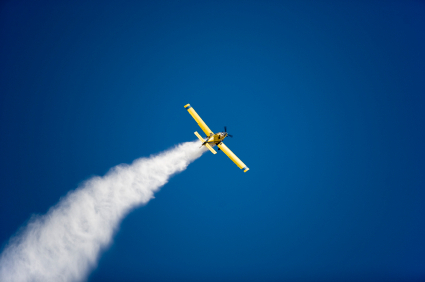 This is a cheap method over aerial spraying as Flying planes need costly equips and skilled pilots alonwith insurance costs!!! I live in a part of Queensland, Australia where it was once rare for us to have a hailstorm. This all changed in recent years when they started cloud seeding experiments. I've noted that whenever they do cloud seeding here we get sudden, heavy, hailstorms with hail the size of golf balls. The storms are often more intense and we get localized deluges. I have little doubt that cloud seeding is either contributing to or causing these hailstorms and deluges.